For an estimated 13,000 people in the UK, Christmas Day is just another day trapped in the chains of modern slavery, far from home and their loved ones. 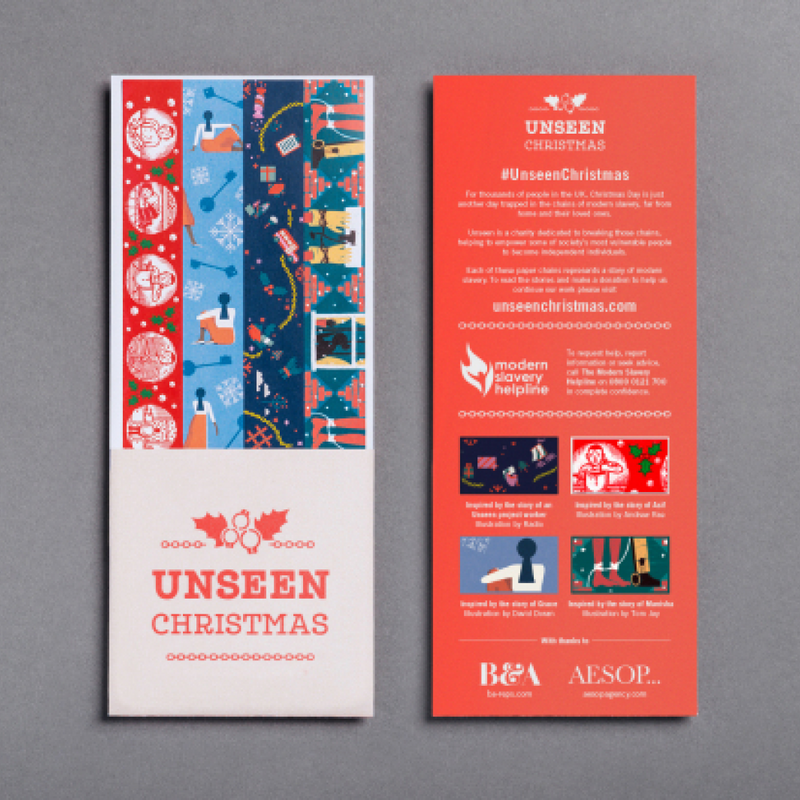 To raise awareness and funds, Aesop & B&A have collaborated with Unseen and created four paper chain decorations; each illustration inspired by a personal story of someone affected by slavery. Please note orders must be received by noon on December 21st to guarantee delivery before Christmas. 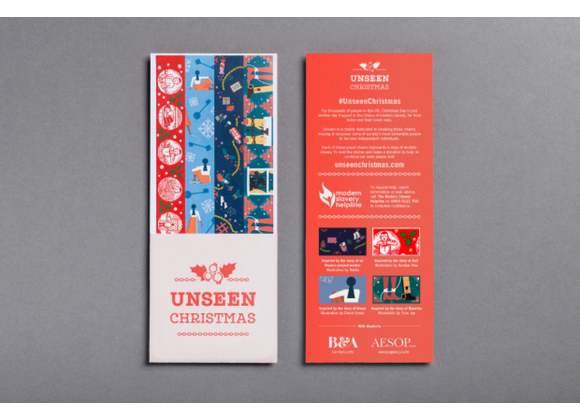 Postage is charged at £1.50, if purchasing paper chains alone. If bought with an Unseen Keep Cup, this item will be included free of charge. Click here to add a Keep Cup to your basket.